Do you miss the Writing 201: Poetry course by the Daily Post? 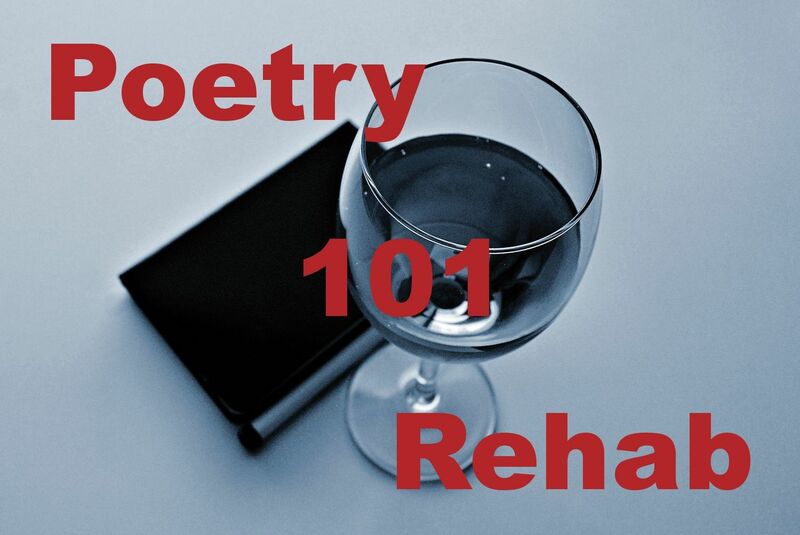 Then join this blogging challenge, Poetry 101 Rehab, that will provide your poetry fix! Each Monday at 01:00 pm UTC I will publish a poetry prompt along with my response to it. You are invited to answer the prompt, twist it or ignore it; write a poem of your own or share a poem by another author. Anyone can participate, anytime you want. Publish your poetry post and add a link to it to the InLinkz link-up below my post, or share your link in a comment. Use the tag Poetry 101 Rehab, so we can find each other in the Reader. I will act as your hostess, and I’ll be here for you to reply your comments, read your verses, like and comment. While my blog is the starting point for the challenge, do visit fellow poets in the link-up and chat to them on their blogs! This week’s prompt is the END. I chose to interpret the topic from a negative angle, which is what I do; but you can just as easily approach the keyword from a positive perspective. While I’m writing about the end of a relationship, you can write, for instance, about the end of the winter – yay! What will your take on the keyword END be? Blog about it in a poetry post and share your link below! Your poem, Mara, prompted me to consider my relationships and how they have ended sometimes abruptly. I’ve preferred, when possible, to transition into maintaining acquaintanceships. Your images remind me that I’ve had very few romantic or domestic relationships. More lengthy discussions than dates. Your poem was the catalyst for mine, and I was startled to see where my poem headed after that. Still loving the prompts 🙂 Love your poem, short and very powerful! Here’s my response to this weeks prompt. Keep writing. Still loving your poems! Seriously. Your language is fresh and your subject matters gloomy – exactly to my taste 🙂 Thank you for your encouraging words and for taking part again! I am glad that you appreciate my efforts, and well done for keeping the rehab going and encouraging lots of people to pen poems. Ben would be chuffed! A poem I wish I’d never felt the urge to write. Yes, I can see what you mean, I think… The poem is beyond devastating. It reminds me a bit of Sylvia Plath’s style – or maybe not her style, but the way how powerfully she writes and how strongly she manages to affect her reader. You can do the same. I have just got devastating news and I’m grieved. I wish I could do more than write a poem, but there’s not much I can do to dissipate the clouds of someone else’s mental illness. I’m so sorry… But it could have some therapeutic effect to express your feelings in a poem, as you did. I wish you all the best in coping. I absolutely love your poem (and even more after going through something of the like this last week); thawing love, I guess. I am constantly in awe of how much you can convey in so few words… Here’s my attempt at writing something completely different this time (: hope you enjoy as I truly do enjoy your prompts (and this one specifically, as I wrote it while walking down the street with the sun’s first light upon my brow, it was absolutely lovely). Thank you! It’s curious how perhaps the darkest of your prompts inspired me to write a lighter poem than the ones that preceded it, isn’t it? I’m sorry to hear about your unpleasant experience, I hope my little poem didn’t rub salt in your wound… On the other hand, you’re such an upbeat person, it seems, at least your poetry gives such impression! Your poem is beautiful, really beautiful, and has such a peaceful feel about it. Very comforting and pleasant. Thank you for this! Another heartbreaking poem – beautiful and heartbreaking. It reminds me a little of Auden’s “Funeral Blues”: Stop all the clock…. etc. Thank you for sharing your piece here. Thank you (again) and yes, I think that poem, and the version from the film was on my mind when I wrote this. Now I know what my kafkaesque crime will be. Plagiarism. i await the knock on the door in the early hours. Your poem is perfect! I love it that you interpreted the prompt in a rather positive way: your poem is surely a bit melancholy, but on the whole, it has a soothing effect. Thank you so much for sharing this piece! Oh of course it’s allowed to write a second response! Write as much or as little as you feel like 🙂 You’re always welcome – and I think your poems are getting better and better… I’m a fan! Read the one from HideousHeart! I cried while I was reading through. It’s truly amazing. You’re welcome! And you’re right, I’m just taking a tour around all the poems contributed so far for this week’s prompt – and I’m amazed at everyone’s creativity. You guys rock! Loved your piece. Short but powerful enough to break a heart…. Got inspired to write two versions (probably one is positive and the other negative) Wrote one in the morning and another at night, hence two different takes. Thank you so much for your kind words – and for returning to the rehab! I see the difference between the morning and the evening kind of inspiration – they’re different, one not necessarily better than the other, but it’s funny how great the difference can be. Welcome back to your internet haven and thank you for coming to this poetry haven 🙂 I adore your contribution: it’s thoughtful, intelligent, and poetic… I ask nothing more of poetry. Your poem is so much fun! I love the combination of verse and prose and love each carefully chosen word. Great work! It’s great to see what you guys come up with, every contribution is so different, and each of them is a little treasure 🙂 So is yours! A simple and effective poem – it works for me very well, thank you for sharing your work! Awe… The pleasure is mine! It’s Easter and I want to post something related to the spirit of the holiday, which is a new beginning and rebirth. In a sense, an end can be viewed as the beginning to a new chapter. I think my poem echos both “End” and “Rebirth” and it’s just perfect timing that I decide to post it this week. Thank you so much for tuning in! Your response is just perfect – seriously. It’s really great for the prompt, but of course it would be great for any occasion – you’ve written a very powerful lyric story. It’s a honour that you shared it here, thank you for it! Thank you for hosting an event that provides an opportunity to get feedback from fellow poets! Your poem is short and beautiful, and reminds me of Kelly Clarkson’s song Already Gone. It reads like a realistic, almost brutal proclamation of the end of a relationship. I like how you don’t sugarcoat it, which makes it a clean-cut echo to the “End”. I love sugarcoated food too! Except sugarcoated pills 😛 Hope you like that song. They both remind me of how perfect things are no longer perfect when our feelings have changed. And that signifies we can’t go back anymore; that is the end. Don’t tell me this is the end of Poetry 101 Rehab!!! Your poem was awesome! mmh think I botch my link so I will pop it here also http://wp.me/s3EbHY-end. Thank you for setting up poetry rehab. It certainly provides an incentive to keep working at it. I couldn’t get anything out for thaw and end was a struggle. A little exhausted at the moment but wanting to contribute where I can. Many associate End with negatives but then every End has a Beginning too, which is more on the positive tone. You are perfectly right. The end of something doesn’t mean the end of everything, quite contrary, it may imply the beginning of something else, and possibly better. Thank you for your comment!